Mallard Cove! Gracious & rare, 2000 sq. ft. open floorplan floating home. 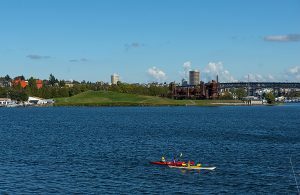 Floor to ceiling windows capture active views across Lake Union to Gas Works Park! Newly painted home, two spacious bedrooms, two offices and two bathrooms. Brand new kitchen with modern, acrylic cabinets and quartz countertops and bar. Gorgeous sharkskin maple hardwood floors and new carpet in the bedrooms. Plenty of storage and moorage for a boat less than 14 ft in length & 2 indoor parking spaces. Unbelievable 4th of July fireworks from the rooftop deck – ready to entertain! Go to dinner by boat, enjoy the Duck Dodge sailboat race, paddle board from your deck, live this unique lifestyle, in style. Located one block from desirable TOPS K-8 public school. NO PETS. Available April 1. $4,800/month. First month plus security deposit ($3,500). Rent includes water/sewer/garbage. Rent: $4,800 per month. Water/gas/sewer included. Small boat moorage is included. Parking is free. Deposit: First month’s rent plus a $3,500 security deposit. $150 of which is a non-refundable cleaning fee. The balance is refundable if no damage. Excellent Opportunity! Rent this floating home for just $2,000 per month. 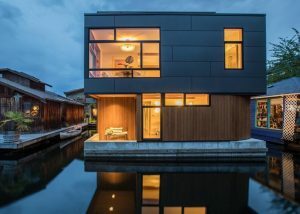 Live life afloat in this adorable Seattle floating home. Freshly painted, 1-bedroom, open floor plan, and great orientation to the water. This furnished home comes with gas cooking and fireplace and all appliances, including washer/dryer. Cute deck for eating and relaxing with serene entrance. Swim, kayak, watch the fireworks and the Christmas ships – it’s all here. 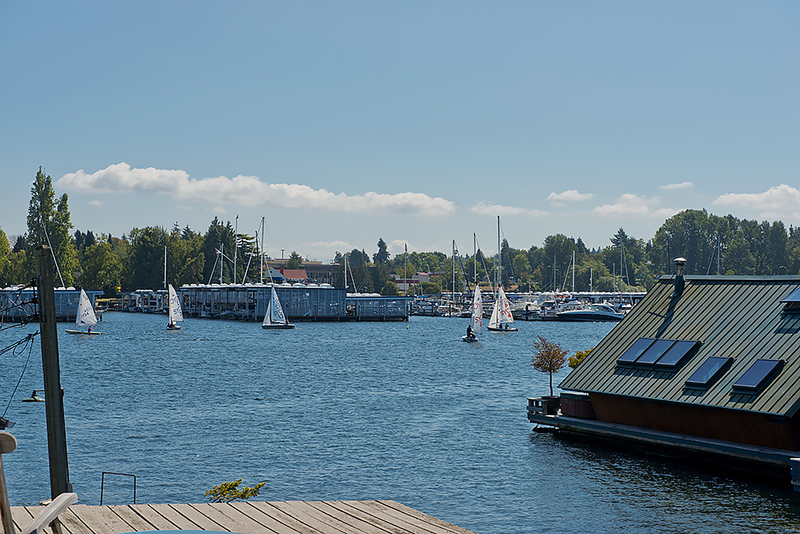 Dock your small boat alongside and live an amazing life on Lake Union! Rent: $2,000/month. 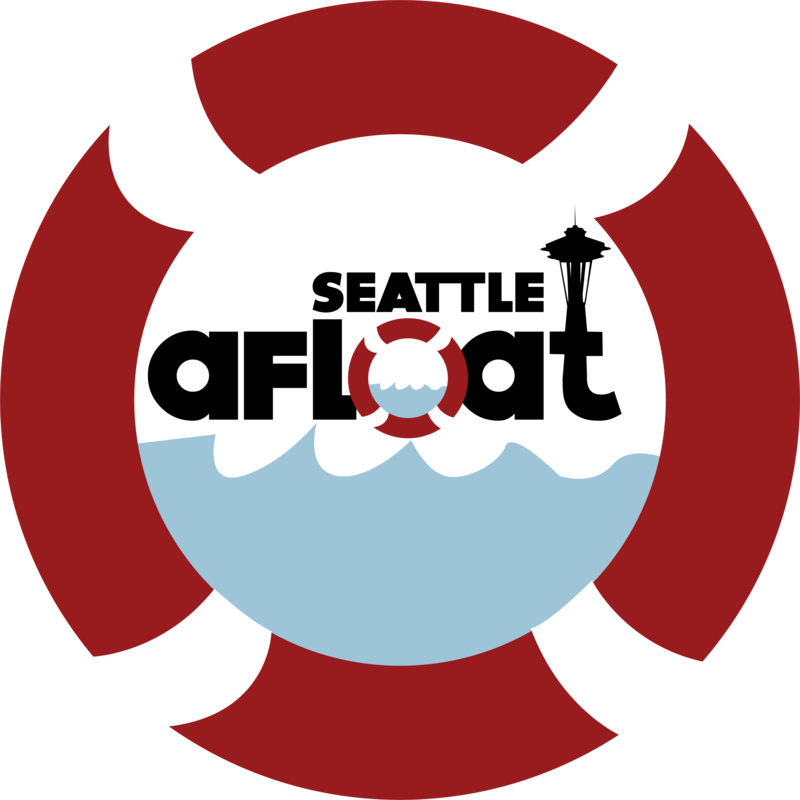 Water/gas/sewer included. Gas and electricity separate. Small boat moorage is included. Parking is free. Deposit: First and last month’s rent plus a $1,000 security deposit. $150 of which is a non-refundable cleaning fee. The balance is refundable if no damage. Now is the time! Exceptional two bed, two bath floating home will be available for rent in Spring of 2017 for short term rental from April through July. Great views from a beautiful master bed and bath with a sauna, plus another guest bedroom and bath on the main floor. Near the end of an awesome dock in Westlake AND room for your 26′ boat + kayaks too. Rent is $3500 per month. Plus an application fee of $40 for background and credit check history. No pets, please. For inquiries, please email molly@cooperjacobs.com. 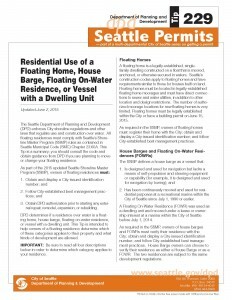 Yes; Seattle Floating Homes DO Sell Year Round. I don’t know about you, but I completely look forward to our beautiful Indian Summers (a period of unusually dry, warm weather occurring in late autumn) here in the Pacific Northwest. I actually prefer the other definition of Indian Summer; a period of happiness occurring late in life. Don’t wait until “late in life”. The time is now. 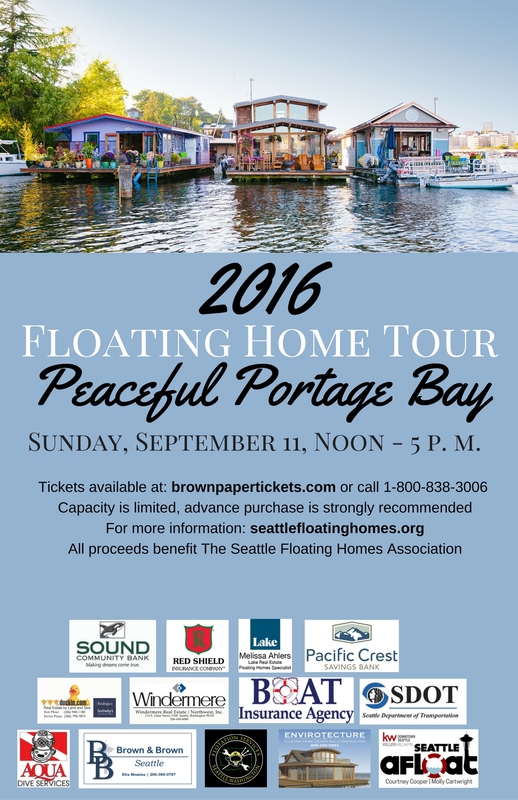 Time to enjoy happiness all the time by living on a floating home in Seattle! We thought you’d like a quick snap shot of what the last six months have looked like for Seattle floating home sales. 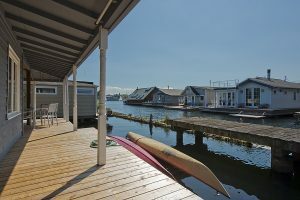 12 Seattle floating homes sold with a median sold price of $747,500 on a 969 sq ft footprint. 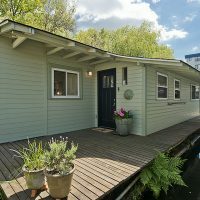 The least expensive Seattle floating home sold for $475,000 was a darling one bed, one bath, 555 square feet; perfectly remodeled from head to toe in Portage Bay. 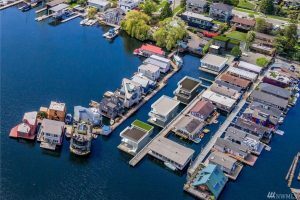 The most expensive floating home sold so far was a cool $2M on a fantastic co-op dock in Eastlake. 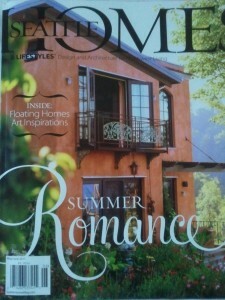 It had beautiful outdoor spaces, custom built ins and only one bed, one bath over 1.367 square feet. Finishes were divine and the architecture was exquisite. 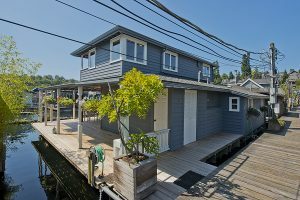 One of our favorite Seattle floating homes just sold for $1.5M. Sitting pretty at the end of a condo owned Portage Bay dock, this home felt like a cabin on the water with privacy that can be sometimes hard to find on a floating home. It was so far out on the lake that you were able to high five kayakers as they paddled by. 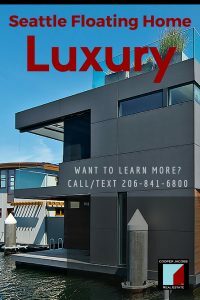 Whether it’s Westlake, Eastlake, or Portage Bay if you’re looking for a unique lifestyle that is like no other in Seattle, you’ve come to the right place. There are some really fantastic floating homes on the market right now. 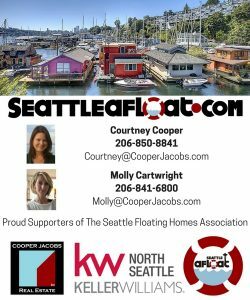 Call Seattle Houseboats Experts Molly Cartwright or Courtney Cooper today and let’s talk. Sweet opportunity to live on a Seattle Floating Home on a great Eastlake floating home dock. Beginning September 1st through May 31, 2017, you can experience what it’s like to live right on the water. Watch the holiday lights on Lake Union, New Years Eve fireworks from the Space Needle, and a gorgeous sunset each evening. First floor includes One bedroom , One full bathroom, kitchen, and dining room. Second floor includes living room and a great deck with outdoor seating. Third level is to enjoy your expansive western views on your private sitting deck. So close to Pete’s Market, I-5, South Lake Union, farmer’s market, Vox coffee, Lousia’s Cafe, and so much more. $3500 per month plus $1500 damage deposit and first and last month’s rent. This includes electric, internet, cable, water, sewer, garbage – wow! Non-smokers, No pets. Comes furnished but is negotiable.